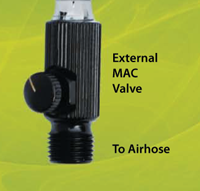 The K250 External MAC Valve offers infinite control of airflow at the airbrush. This allows the airbrush to spray anything from a coarse stippling effect, to a full atomisation with a simple quick turn. 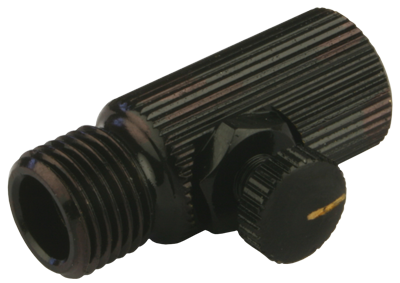 When doing fine line or detail work, adjust the Mac Valve to create optimum airflow for maximum control of paint output. Fully open the External Mac Valve and this will enable you to spray wide background areas and to quickly clean the airbrush during colour changes with ease. The K250 fits all Iwata airbrushes. Airbrush featured in this picture is NOT included.